As an entrepreneur you face potential liabilities the general public doesn’t. The wrong accident at the wrong time could not only cripple your business, but wipe out your personal assets as well. Luckily there is a form of protection that can help protect your assets in the event something like this happens. If you’ve been hesitant to open your business for fear of liability, asset protection could be the solution. Establish good relationships with your customers, vendors, and workers. Build your business based on your personal ethics and values. Work with people who share your mindset and values. Stop doing business with anyone who isn’t honest with you. Many disputes can be resolved informally and without an attorney when business people treat each other with respect and share a willingness to resolve the situation. Unfortunately, accidents happen. And, there are people in the world who have no desire to be reasonable when it comes to resolving a dispute. That’s when asset protection can help. Asset protection is our multi-layered approach to protecting your assets in case of liability. Very simply put – A wise investor diversifies his/her portfolio to spread the risk of loss. Similarly, diversification works for your assets as well. Asset protection spreads out ownership of your assets to reduce the risk of loss. Just to be clear, while this program may protect your assets from liability; asset protection is not a way for you to avoid paying taxes. 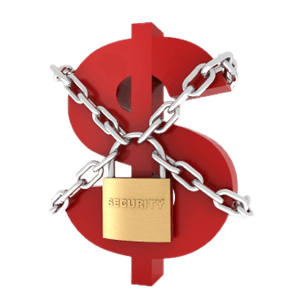 Asset protection is not to be used to defraud creditors. It’s also not an excuse for you to engage in bad business practices or break the law. We reserve the right to refuse our services to anyone we believe is using asset protection in an impermissible way.